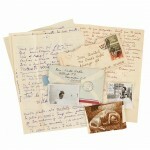 Frida Kahlo Biographer Hayden Herrera Has Written an Essay Profiling the Letters and Their Significance. 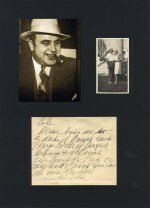 „I never thought of holding a Capone Autograph in my hands “ Markus Brandes, autographcollector and dealer. Markus Brandes Autographs and the fight against autographs had been featured on N-TV Germany. Both, Michael and Sebastian, were close to the fans. So it was possible to collect a lot of great autographs. Michael wrote autographs in many different situations. Sebastian wrote even more always trying to fulfill every autographs wish. At the end of the day I had more Michael autographs as usual. Directly after leaving Kerpen, I travelled to Spa in Belgium. F1. The new president of the United States got out his copy of the Acts of Congress, turned to the Constitution and looked up his duties. 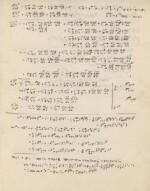 Eclipsing the auction price of $1,050,000 achieved in 1987 for Einstein’s manuscript on the Theory of Relativity and $500,000 for the Einstein/Besso Manuscript, sold in 2002, Lion Heart Autographs sold on April 14, 2012, to an American collector for more than $1,200,000, over 110 pages of hitherto unknown Einstein manuscripts spanning a wide range of scientific subjects.